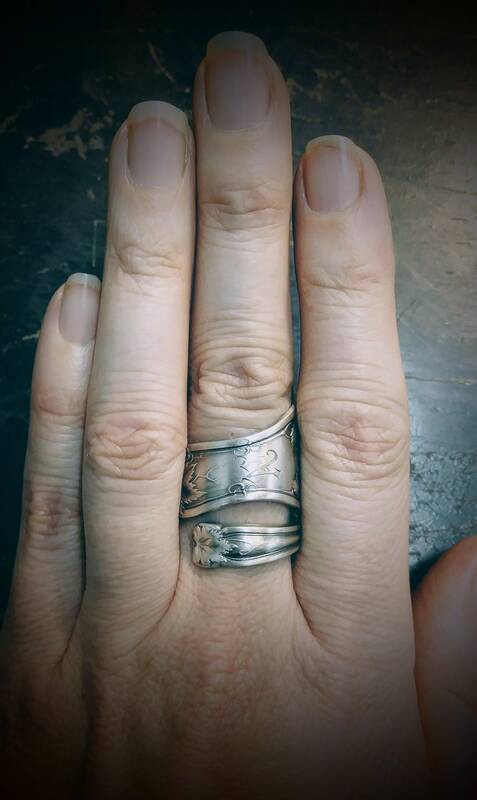 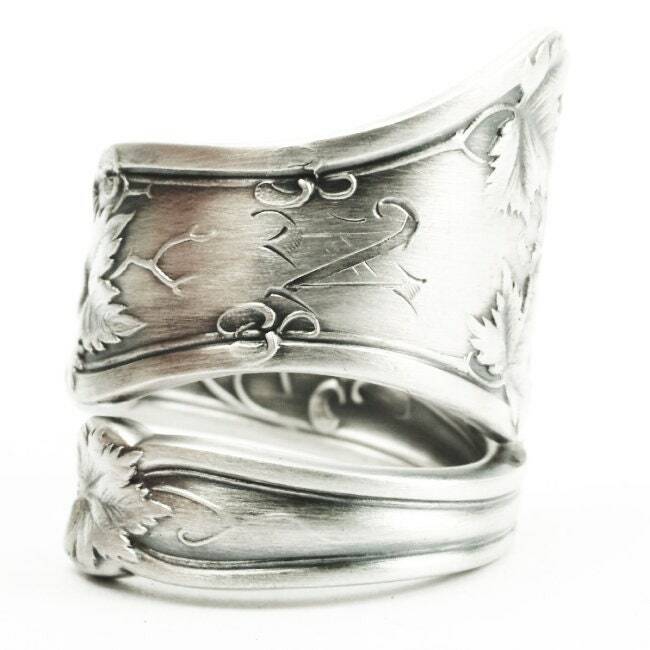 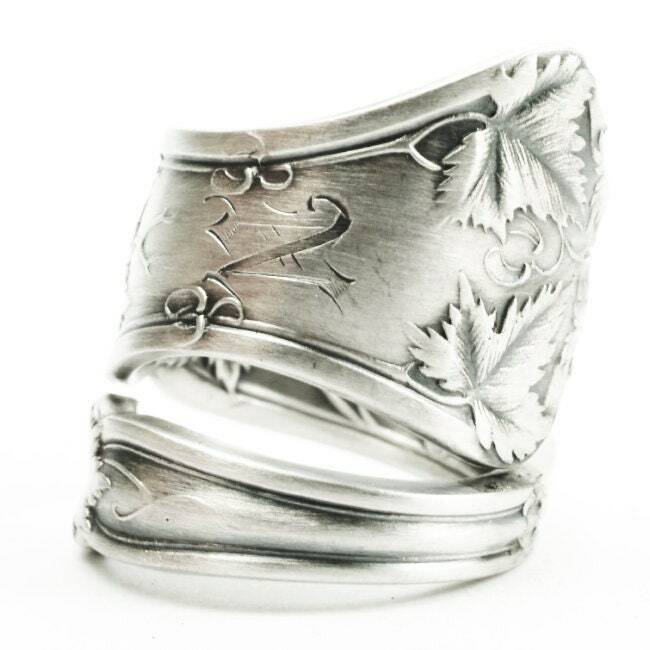 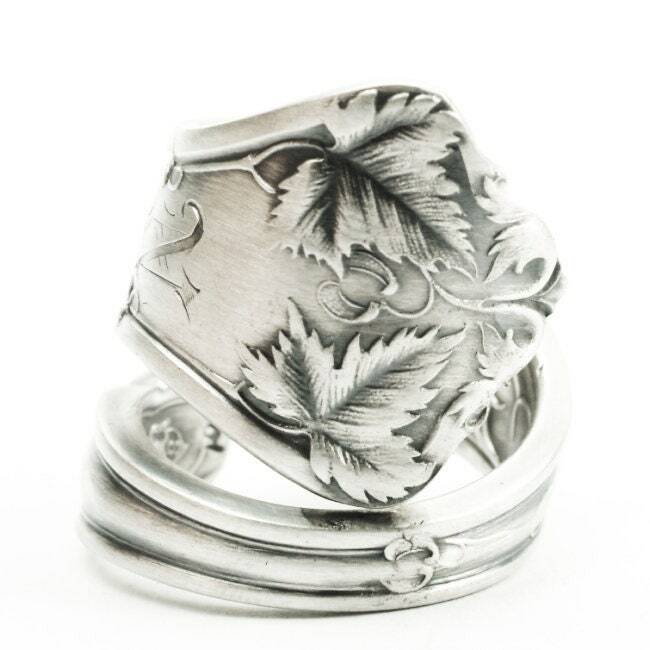 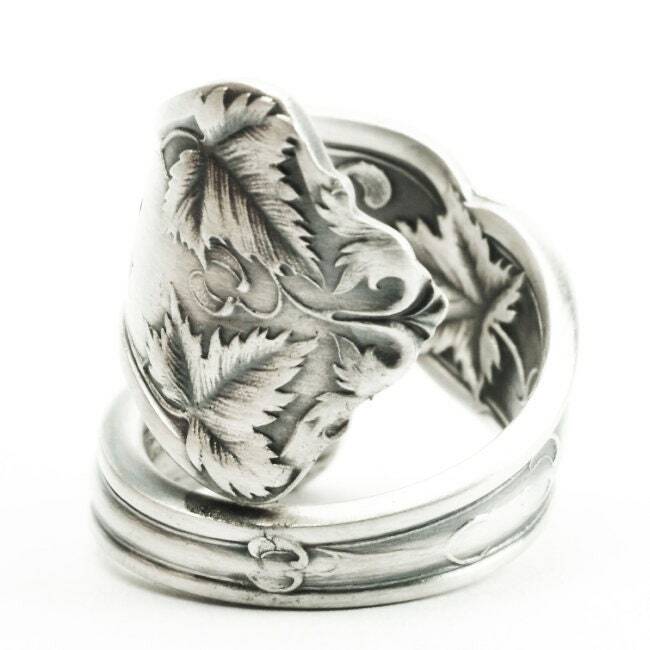 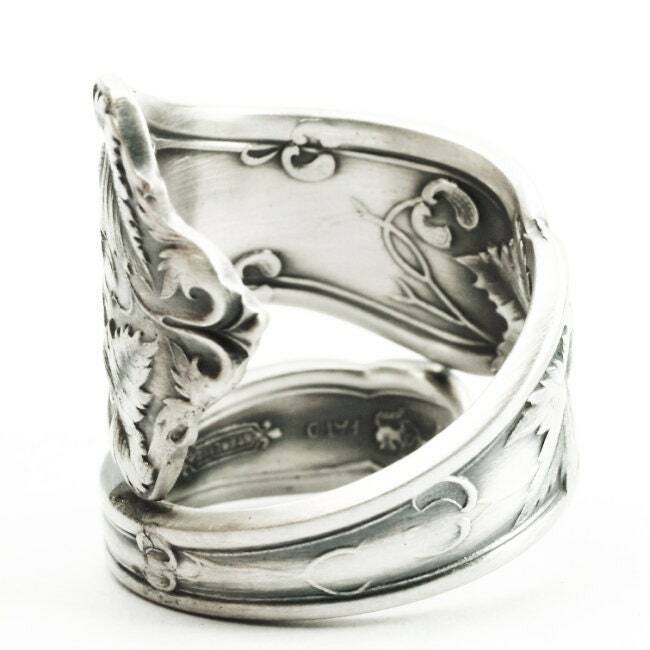 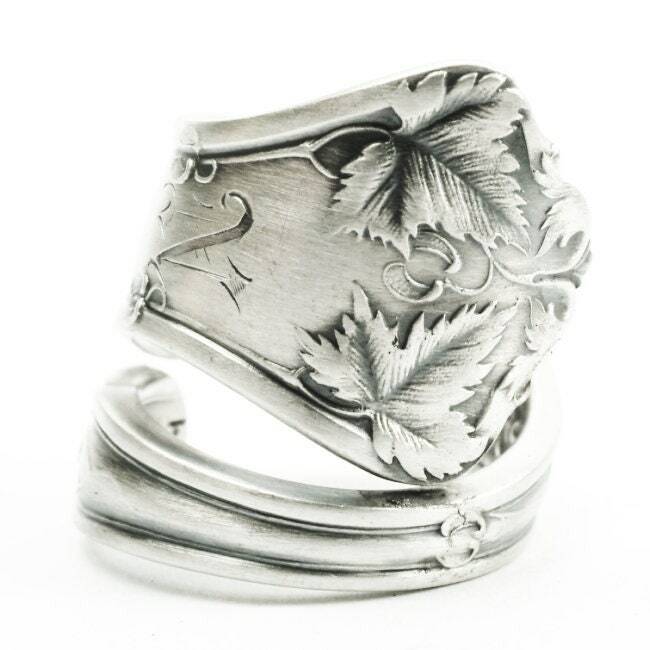 This vintage art nouveau spoon ring is adorned with high relief Maple leaves and "propeller" seeds, intermingled with flowing and interwoven ribbon design. 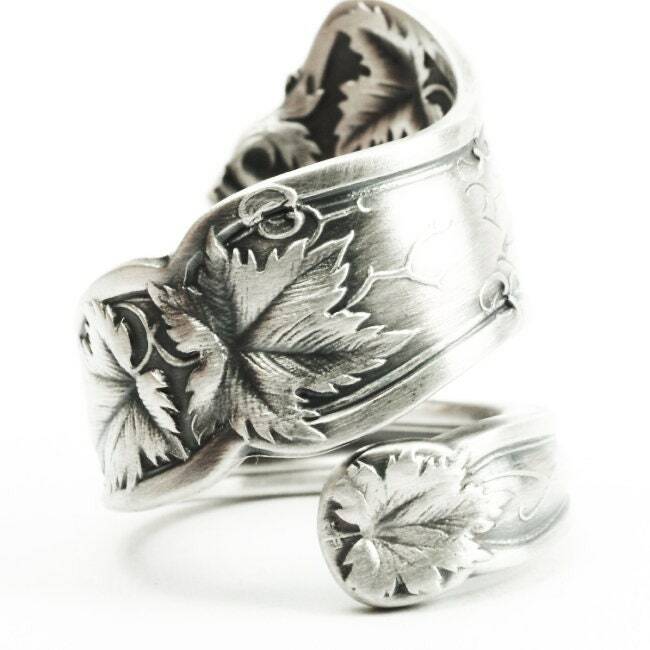 Show your sweetheart with eco-friendly, recycled Spoon jewelry that is both fashionable and vintage! 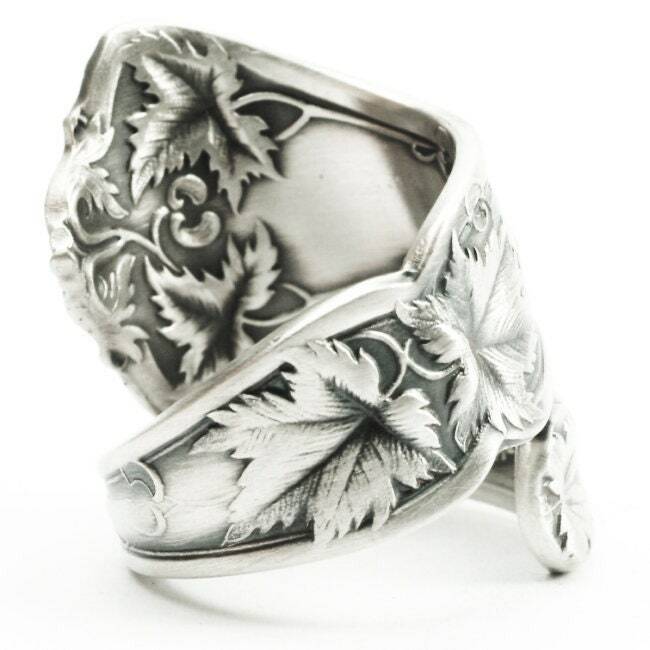 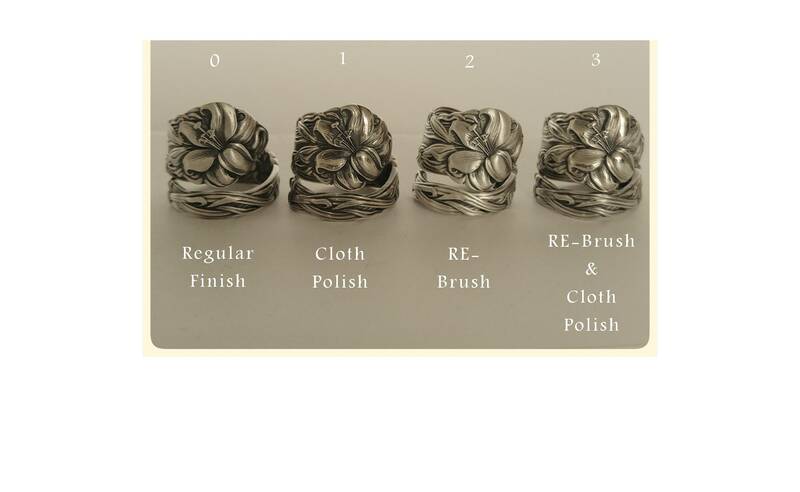 Originally made by International Silver Co in 1909 in their pattern called, "Edgewood".